Once again, Rich Guy has returned from the Philippines. That can only mean one thing - food! Oh, not only eating out; but also goodies that he brings back for me. He always good for some Cornnick and this time he brought back nukeable chicharrón. Score! Instant pork rinds, nothing can get better than that! Well, snacks can be good; yet what I was really looking forward to was more eating out. He and Rich Gal were in the mood for some Japanese food, so we picked spot somewhere in between. 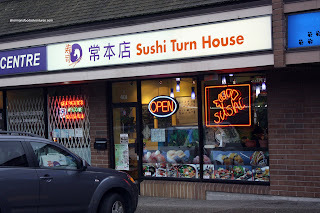 Thus, it led us to Sushi Turn House in Coquitlam. 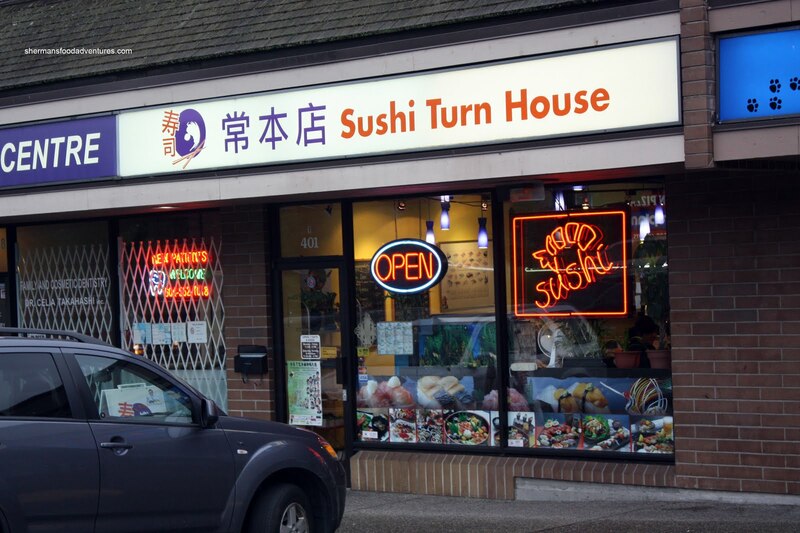 I've actually had their sushi a number of times and so far, its been pretty solid. Mind you, we've never actually set foot into the place itself since the times we have tried it were at family get-togethers where someone would buy the party trays. Not knowing what to expect, we were a bit taken aback as to how small the place was. Luckily for us, Rich Guy had arrived early and snapped up probably what was the best table. Actually, we were a bit late because of the parking lot known as Clarke Street in Port Moody during rush hour. I think we essentially crawled bumper-to-bumper from Barnet Hwy to Lansdowne. Good thing Rich Guy ordered some stuff beforehand since he food arrived as we sat down. 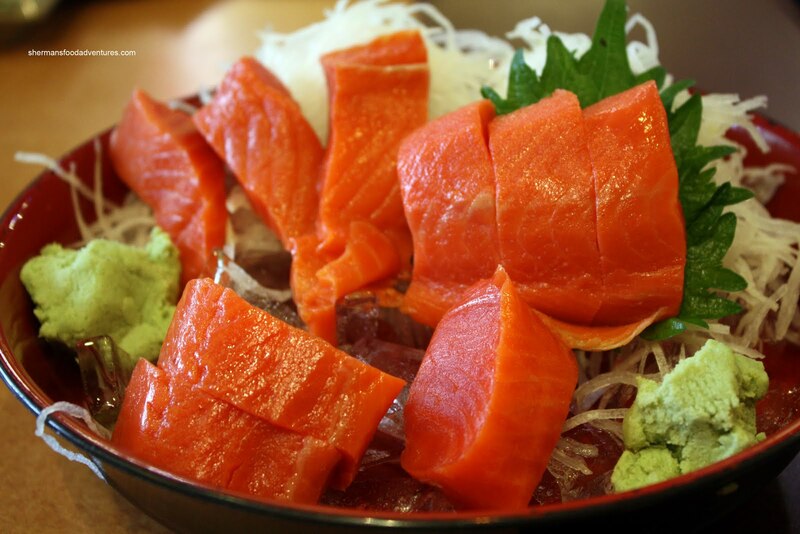 Presented on a bed of ice, the Salmon Sashimi was decent. It looked, smelled and tasted fresh (of course as fresh as flash frozen can be). I know this might sound picky, but the pieces were oddly cut into big thick chunks. We also got an order of Toro, which was presented on a bed of ice as well. If we compare it against the salmon, the toro was not as good. I wouldn't say it was not fresh; rather it was softer and slimier than I'm accustomed to. It was a little on the bland side as well. 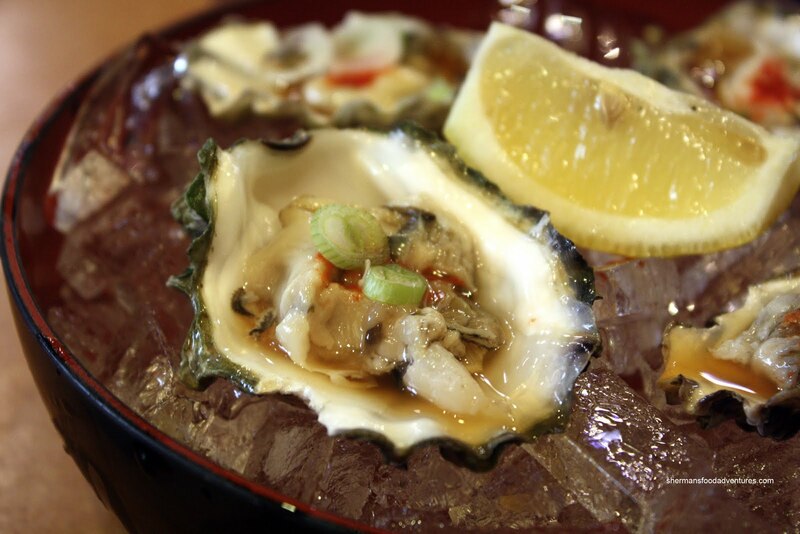 He also got an order of the Fresh Oysters from the featured menu. Lightly dressed and served with lemon and Tobasco. These were more or less decent. Once again, it was served on a bowl of ice. Not a big deal really, since it keeps the items cold; but the presentation was a big haphazard (especially with the sashimi). On the topic of presentation, the Rainbow Roll was poorly made. With each piece, it was akin to picking up a plate of marbles. 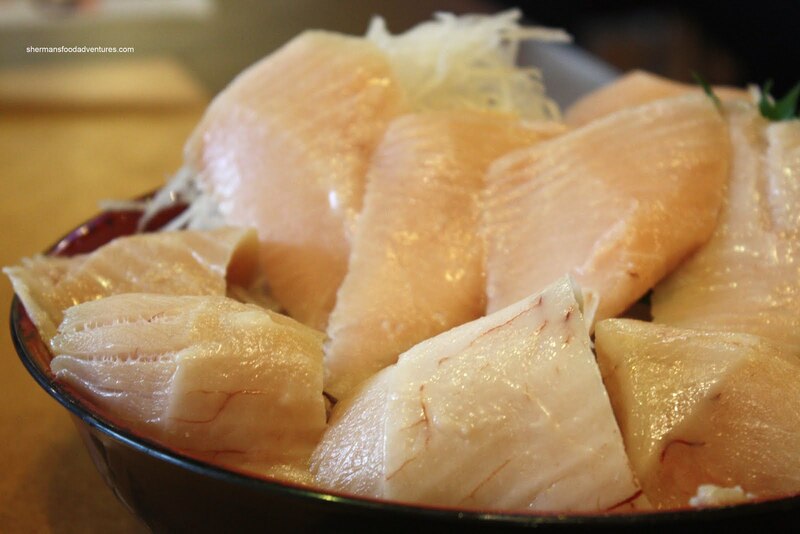 If we weren't steady with our chopsticks, the entire thing would became a sushi salad. With that being said, the roll is a fantastic value since it was large enough to be counted as 2 separate rolls. Consisting of what is essentially a California roll in the middle and with bands of hamachi, ebi, tai, salmon and tuna on the outside, it tasted better than it looked. Of note, I found the rice on the gummier side of the sushi rice continuum. Now as we moved into the cooked foods, the meal started to turn sideways. We found the Gyozas to be quite average. A bit light in colour, these dumplings had quite the chewy exterior while the filling lacked flavour. As per usual, we got a Tempura Udon for the kiddies. The udon itself wasn't too bad being slightly chewy. On the other hand, the broth was no good. It was bland. The accompanying tempura was also a miss. The combination of too much batter and old oil didn't make it look appetizing. And predictably, it was both greasy and doughy. 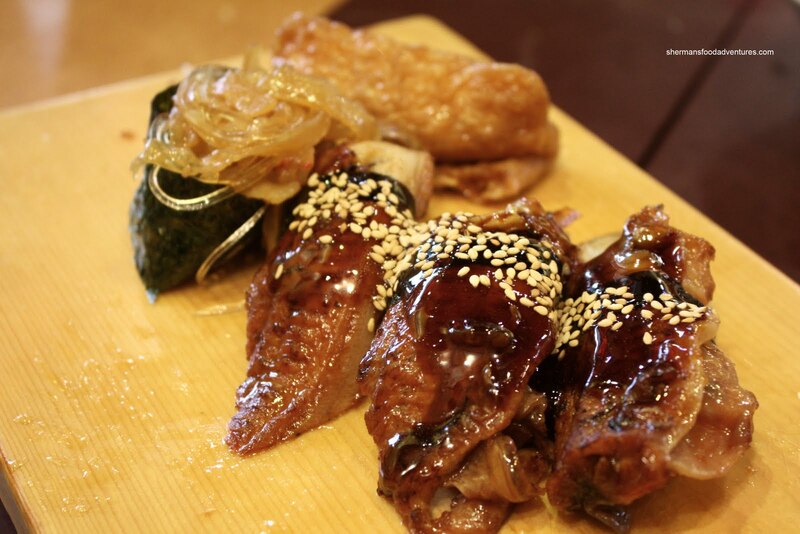 With the small order of Chicken Karaage, the use of old oil was even more evident with the resulting dark colour. Texturally, it was fine with a tender and juicy meat. A sprinkle of salt added some flavour. 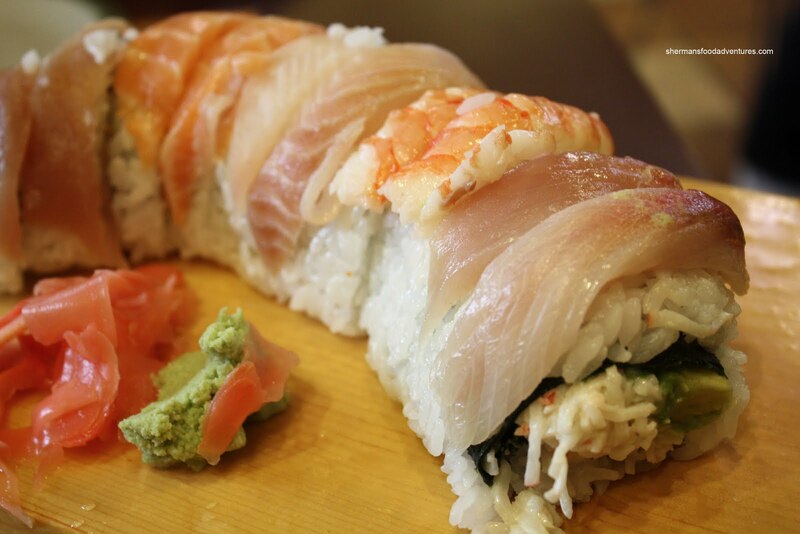 For some reason or another, we added some Nigiri at the end of our meal. We really shouldn't have and pretended we did. The nigiri was very poorly made and no matter how I angled it, I couldn't get a nice picture. Taste-wise, it was alright; but the presentation was quite lacking. Actually, all of the food was pretty much rough around the edges. Nothing was particularly carefully made or outstanding. I realize that this is a small Chinese-run sushi joint and we shouldn't expect much. 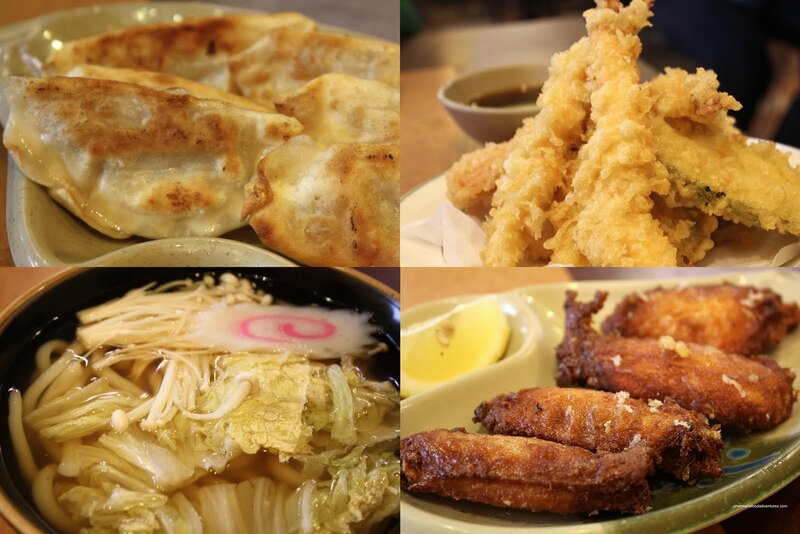 So really, with the large portions at reasonable prices, this is your typical good value, not necessarily great Japanese food joint. Actually, I went here prior to Tojo's. My posts are all of our order now! No, the food here is pretty average at best. Okay MBS, I will try! Thanks!